Hey everyone, Reecius here to toss my hat into the ring of the Sisters of Silence and Adeptus Custodes tournament debate. Check out Frontling Gaming for more great 40k content! (Obviously) we have new units in the game: Sisters of Silence and Adeptus Custodes in the new Burning of Prospero boxed set. These units have 40k Dataslates but without an HQ and Troops, or a new detachment to use them in, are only available at present in Unbound play according to a GW facebook message. Most organized play formats don’t use Unbound as a viable list building option, including the ITC. Therefore, at present, you can’t actually use them in most leagues or tournaments. The models are awesome in both rules and looks and some folks want to use them. Some community members feel that no exceptions should be made for these units to join in the fun. We must now decide what to do. That’s the long and the short of the issue as it stands at present. The ITC specifically has a long history of changing it’s own rules (by community vote) to accommodate cool new stuff. When Imperial Knights all went LoW status (as they honestly always should have been) we gave an exception for them to ignore the 0-1 LoW restriction. When Eldar went all ranged D on us, we altered our rules to not prohibit Eldar players form being able to use their cool new toys. When Tau got units of Stormsurges, we gave them an exception to use units of Lords of War so they could get more than 1 Stormsurge on the table in a unit as that was their cool new thing. So to make a special exception for Sisters and Custodes would not be anything out of the ordinary. Some players feel that the Sisters are under-costed (and with the Swords, yeah, I agree, but that is hardly a reason to not allow them as by the same logic no Wraithknight–or any unit to be perceived to be too cheap–would ever see the table). Some players feel that it is a bummer that Imperial faction players get an awesome tool that is not available to all factions and I can feel the pain there. Off topic: Interestingly, one of the cooler rules changes that has been proposed by a gaming group on the east coast of the USA for this next ITC poll has been to make the Culexus Assassin have no faction, thereby being available to all armies in the game which I thought was a cool idea, personally. Let us know in the comments section if you like that or not. Back on topic: many players feel that it is no big deal to include them for any number of reasons: they like the models, the rules, etc. I think the Sisters are a great counter-balance to psychic deathstars which are very prominent in the meta at present and to me at least, not super fun to play against. Introducing a unit that could help to counter that is worth the price of admission, but that is me. 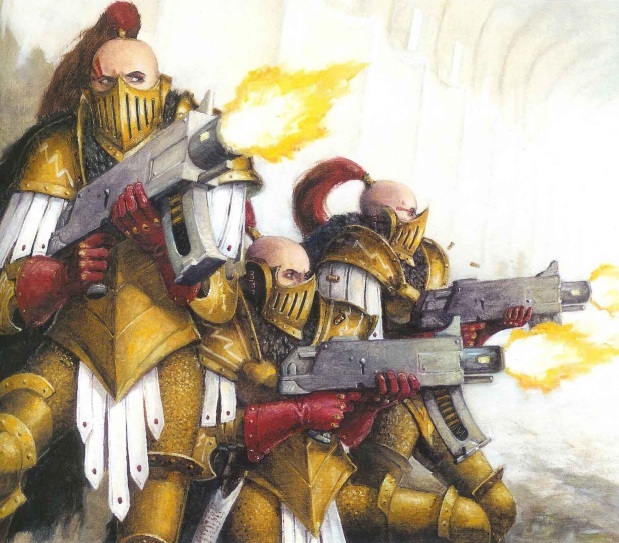 We’ve had some creative solutions such as: allowing them to be taken in Inquisition or Sisters of Battle detachments, making them Elites in any Imperial faction, making them take up a detachment and allowing 1-3 units of them and even the suggestion of them taking up the LoW slot. Some of my own Team Zero Comp teammates have expressed that they believe the Adeptus Custodes provide the foundation for even more Deathstars and may contribute to the issue. I can see that as they are quite beefy, but my opinion on that topic (without having played them yet) is that at this point I do not see them providing a better platform around which to build a Deathstar than what is already available. Many voices in this debate brought up the fluff and the fact that the Custodes don’t seem to leave Terra anymore, and that the Sisters of Silence are not very present in the game’s current story and would feel odd in the game. However, the last 30k plastic boxed set gave us Contemptor Dreads and Cataphractii Terminators and with a few lines of text explained why we now have them. It’s certainly nothing new. Forgeworld has been showing off this awesome toy, too! What a cool model. 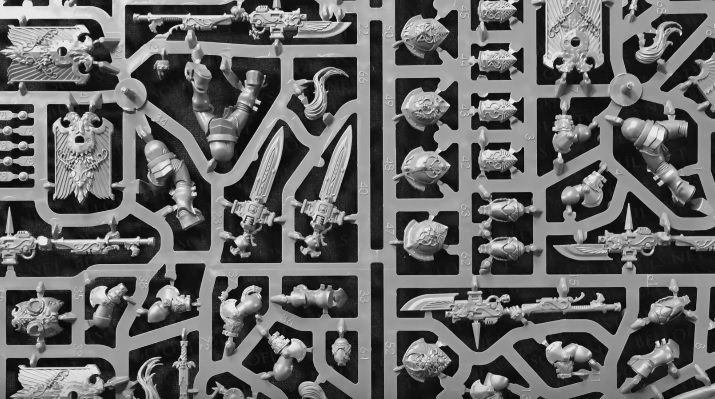 Good looks aside, these models are clearly not a one off release, and GW plans to give us more awesome Custodes goodies. There’s also been sightings of other units and rules for them, too. The point here being that there are some strong emotions and some good points on both sides of the argument. I sincerely wish GW would have simply given us a detachment to work with upon release and then there’d be no argument at all! Haha, but they see unbound as a totally legit way to play the game–and it is–it’s just not so hot in tournament/league play. I think now with how crazy formations have gotten that the fear of unbound may not be as well founded as it way (especially if you don’t allow CtA allies as that is where the really crazy combos can be found) but would the community would be ready to accept that? I don’t think so, but I could be wrong. I know for one I would not want to see a big change like that before the LVO, but perhaps for the 2017 season, if everyone wanted it, sure. So, as I sat thinking about the best way to handle this something occurred to me. 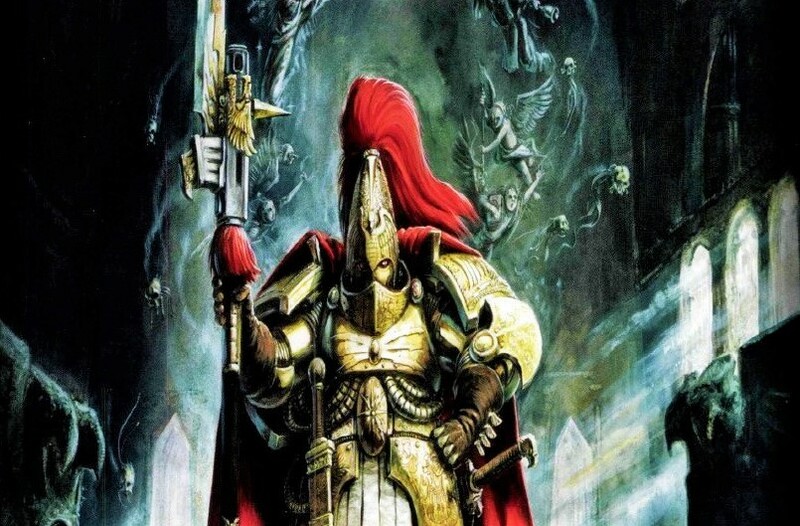 With the (amazingly funny) GW video showing us the coming of the Daemon Primarch Magnus the Red and all that has been hapenning and hinted at in the recent 40k releases I started to consider the possibility that there may be more on the way from both the Sisters of Silence and Adeptus Custodes not only in 30K, but in 40K, too! 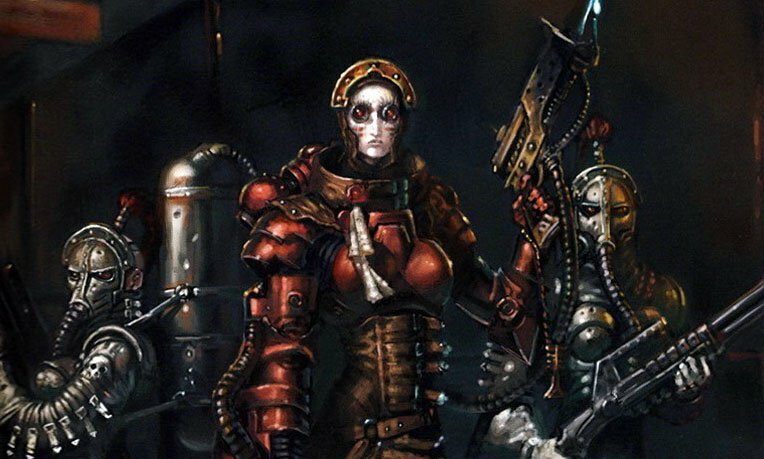 Now, this is pure speculation and I may be 100% wrong, but we seem to be seeing a gearing up in the recent books and hearing lots of rumors of a possible advancing of the story-line of 40k. 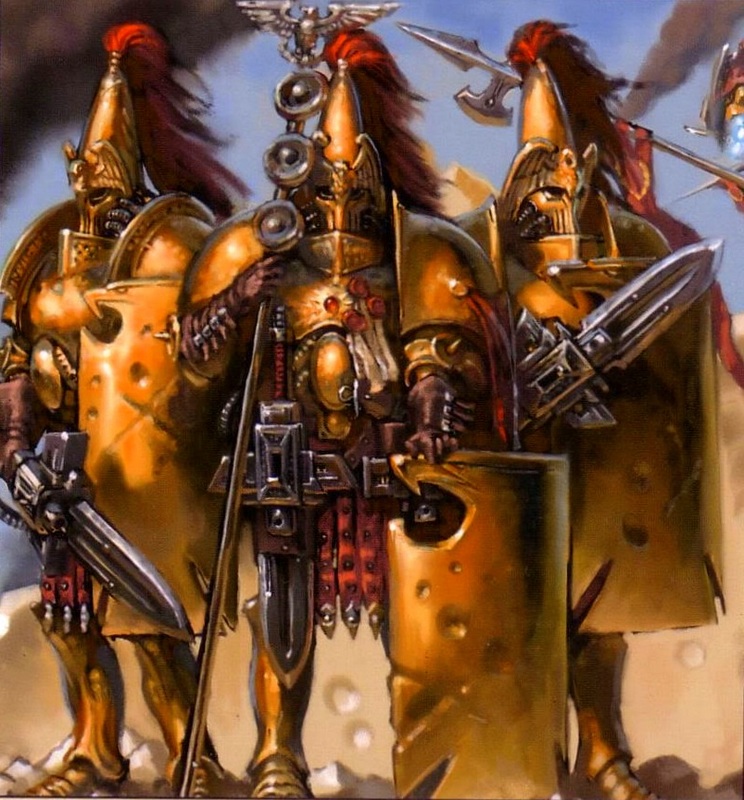 If that were to happen, who’s to say that the Custodes may not rejoin activity in the galaxy? I mean, thousands of years of hiding on Terra is plenty of penance! Sisters of Silence could join the party again, too. It makes sense for the game and the business of selling models to include these awesome factions. Making plastic molds is also REALLY expensive. If I were calling the shots, I wouldn’t take the financial risk on one off, factionless units for my flagship game (40k) if I didn’t at least have a plan to add more to them at a later date. I would guess that with the crazy success of this release, it would be an easy choice to make more units to flesh out these factions. As their dataslates already have faction symbols on them, I would guess that they will be gaining reinforcements and we may even see detachments for them or including them in the next supplement which I assume will include Magnus the Red as we’ve seen him confirmed. 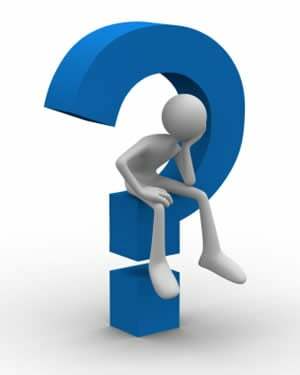 The message on Facebook was probably the only answer that could be given without spilling the beans about upcoming releases. Yes, they have been created for 30k, but if you were running GW, wouldn’t you want to sell these kits to both your 30k AND 40k customers? You vastly increase your customer base that way, and therefore, sales. 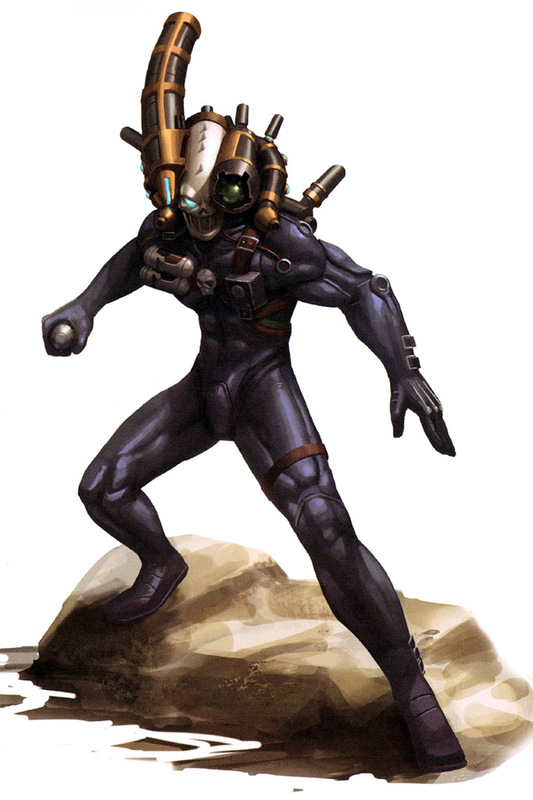 All it would take to breathe them to life in the 40k setting would be some cool new story-line and off we go. I think it’s exciting! Am I right? Who knows! Only time will tell. But, I think the prudent thing to do in this instance may be to just hang tight and wait as my guess would be that the solution to this riddle comes to us from GW sooner than later. But, I could be wrong and that is the risk in waiting. What do you all think? Am I way off base, or does that sound like a reasonable course of action? Do you agree with my hypothesis or not? You can also pick up some cheap models in our Second Hand Shop. Some of these gems are quite rare, sometimes they’re fully painted!